Learn how you can earn twice as much with half the stress! If you are currently the owner of a small business that is running you, this is an opportunity you can’t afford to miss. 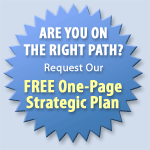 America’s Top Small Business Authority invites you to receive a Business Needs Analysis Absolutely Free. To receive this $350 value free, fill out the personal information below and send it immediately to Positioning Systems. Then we’ll send you a complete Needs Analysis Packet and call to set up an appointment for an in-depth consultation with one of our Certified Gazelles and former E-Myth Consultants. In one session (generally 1 1/2 hours), you’ll learn how to make your business more profitable and more manageable. Yes, I want to know more about how your program can help me with my business. Have one of your Certified Business Consultants contact me by telephone to schedule a FREE Business Needs Analysis of my business. I understand that by participating I am under no obligation to buy anything and that the information I share with your consultants will be held in the strictest confidence.